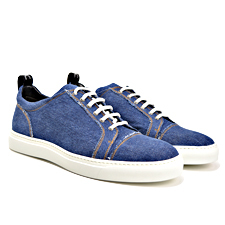 DIS & RIFLE made in Italy between history and innovation. 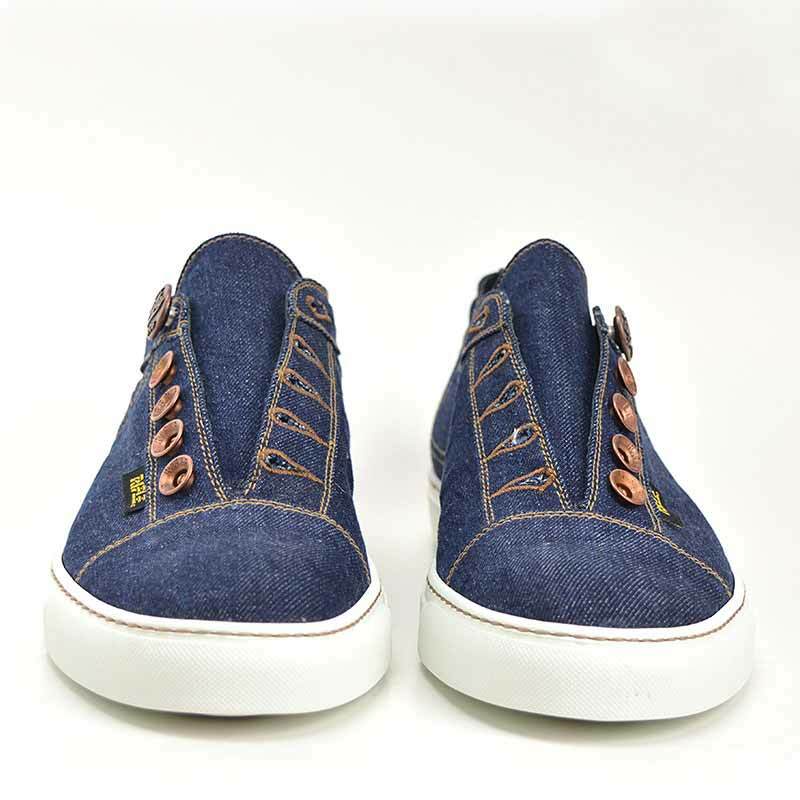 RIFLE chooses DIS innovation and contamination to create "Giulio" limited edition, a tribute to "Giulio Fratini" the founder of the company, who in 1958 innovated the Italian clothing industry, introducing denim on the market for the first time. 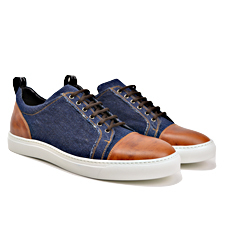 Giulio sneakers, which have been launched at Pitti Immagine Uomo 89, are unique and exclusive, whose lines and colours are inspired by the same jeans that made history for RIFLE. 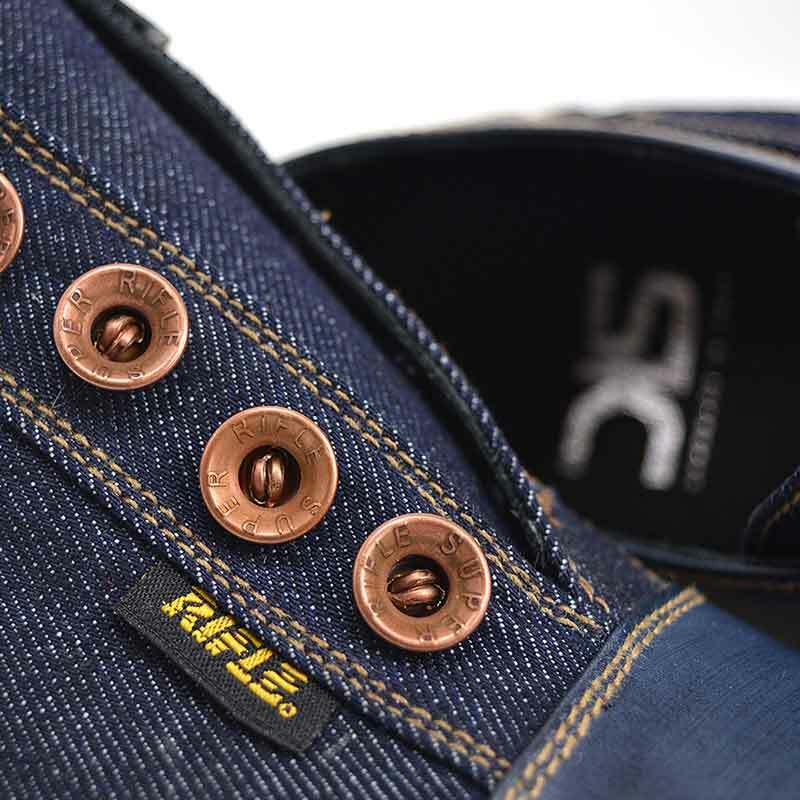 Rivets and buttons have been taken back from original articles and are now sewn together with the vamp by skillful hands, giving birth to a product that is made to stand out. 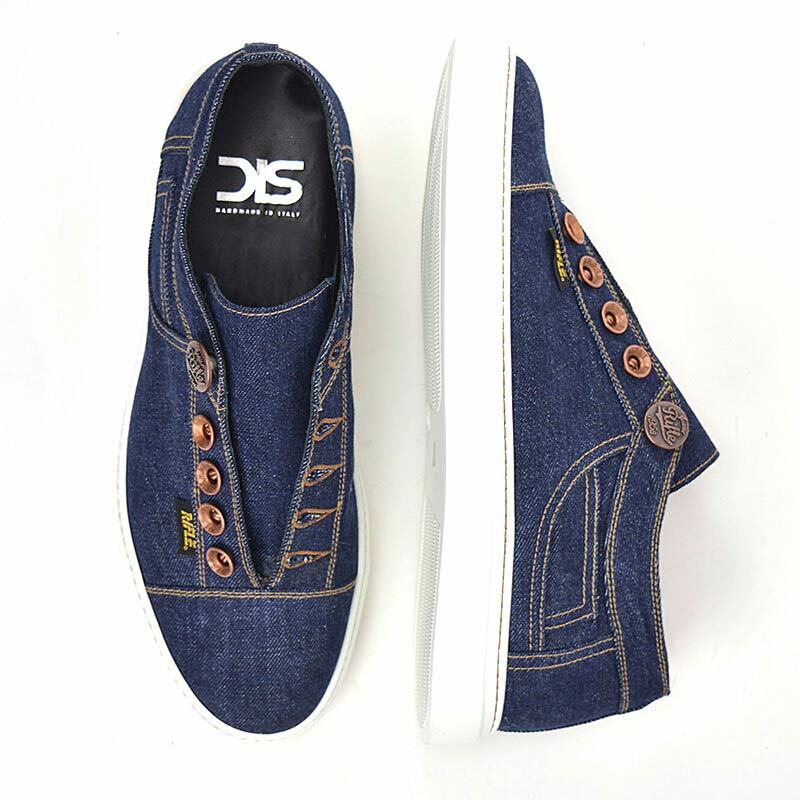 DIS chooses RIFLE, one of the Italian most significant companies in the history of denim clothing, to dress their footwear collection with this indestructible, top quality fabric. 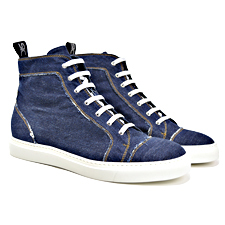 DIScover DIS denim sport collection, customise and make your sneakers unique. 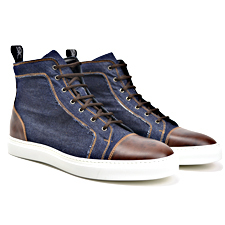 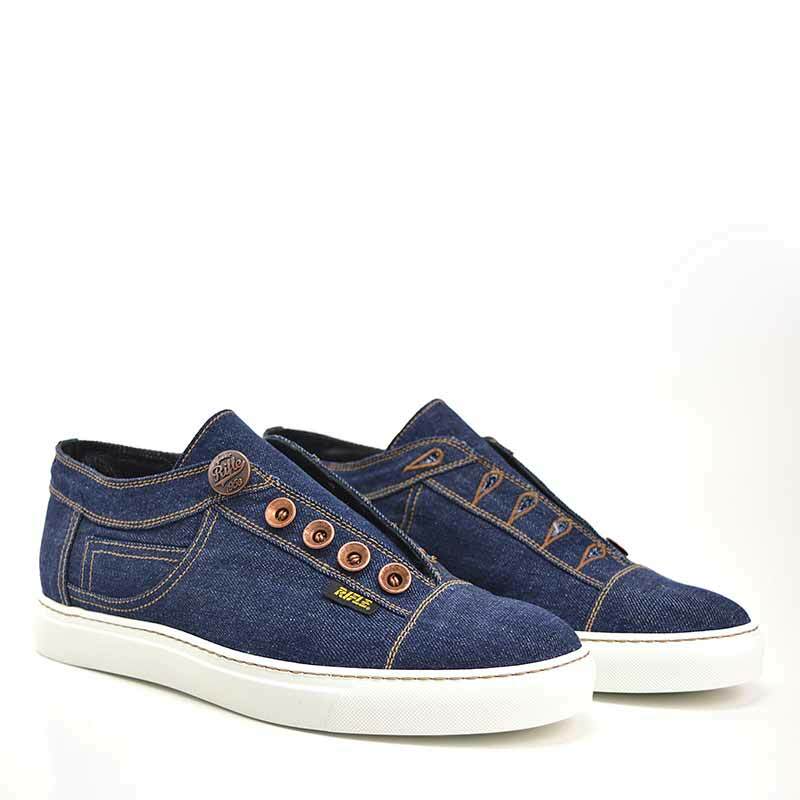 Buy now our denim customised sneakers.